There are many reasons you and your organization may want someone to take a foreign language proficiency exam. Perhaps you are working with particular ethnic communities within your own country, or maybe you need to communicate with firms overseas. Your company may be expanding and opening offices around the world. Whatever the reason may be, having an accurate understanding of your employees’ language capabilities is crucial to your success. One of the primary aspects of language proficiency is an individual’s ability to read in a given language. At Language Testing International, our reading tests cover everything from basic, everyday language to more complex, subtle texts that incorporate high-level concepts like hypothetical reasoning and abstract concepts. The ability to understand not just the definition of a word, but also any other connotations and associations it may have, is something that distinguishes a person with an elementary understanding of a language from someone who is highly functional in it. Of course, in addition to being able to read the language, you want to know how well an individual can write in it. LTI’s writing tests provide a candidate with the opportunity to show the true range of their writing skills. Our exams will not only help determine the test-taker’s grasp of grammar and syntax, but also their ability to use the language at a higher level. You will be able to see whether your candidate has the capacity to communicate effectively at the highest levels, and what the true extent of their skill with the written word is. Lastly, it almost goes without saying that you would want to get an accurate understanding of how well a person can speak and understand a language, in addition to their reading and writing abilities. 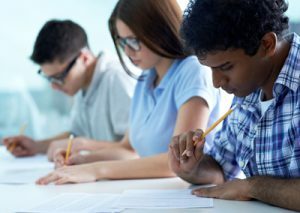 Our tests will demonstrate without doubt an individual’s ability to communicate effectively and precisely in a language; rather than simply filling in words or circling the right answer, we push test-takers to show their ability to function in a language in real-world situations, using techniques such as role play scenarios that highlight their practical knowledge. As the exclusive licensee of the American Council for the Teaching of Foreign Languages, only LTI can offer you the highest standard of excellence, accuracy and reliability in a foreign language proficiency exam.